If you are a club/community/zone who wishes to host a course, please contact your district for the necessary information. Please Click on the Tabs Below to access more information about the various Referee Courses and to Register. A one-day introductory course for people 12 years and older (on or before May 15th), who would like to referee U9 and younger only. As of 2019, clubs and districts have the option of holding a ‘Mini Plus AR’ course, which will provide Assistant Referee Training as well as the Mini Referee Training. The cost per student for the course will be determined by the hosting organization. The Rules of Mini Soccer. Please confirm with the club or district to determine which type of course they are offering. Students are supplied with – 7 v 7 Rules of Mini Soccer, referee badge and whistle. Mini courses usually run in the spring, in preparation for the outdoor season, but occasionally are run at other times of the year. A two day introductory course for people 14 years or older (on or before May 15th), who would like to referee U11 8v8, U13 and older 11v11, or act as an assistant referee (linesman) at any level. Please note that the course fee includes the first year’s registration fee for the referees. Entry Level courses usually run in the spring, in preparation for the outdoor season, but occasionally are run at other times of the year. 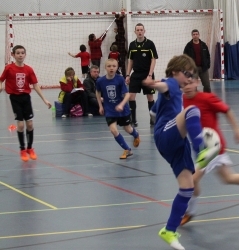 For existing 11v11 referees (not mini referees), there are two types of indoor soccer conversion courses available, depending on what style of indoor soccer is played in your part of the province. 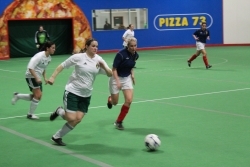 Arena (boarded) Conversion – is a one day course, designed to teach the Rules of Indoor Soccer, as well as provide practical on-field training. as well as provide practical on-field training. Both courses usually run in early fall, in preparation for the indoor season. To sign up for a Conversion Course, log in to your Refcentre account at – www.refcentre.com – and use the ‘Registration’ menu. Note – ‘Mini’ referees should contact their local assignor regarding indoor soccer. For existing 11v11 referees (not mini referees), there is a mandatory refresher course prior to the start of the outdoor and indoor seasons. Referees first take an online quiz, and then attend a three hour session, which may include class and/or field time. prior to signing up for a Refresher Course. Note – ‘Mini’ referees should contact their local assignor regarding a refresher course. 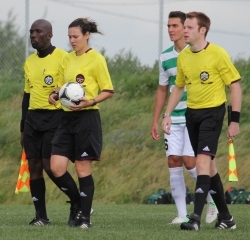 Referees with one or more years of experience, can sign up for an upgrade course.